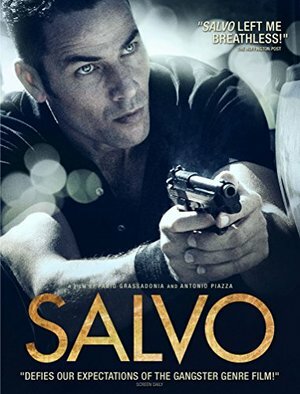 A hitman for the Sicilian Mafia, Salvo is solitary, cold and ruthless. When he sneaks into a house on an assignment, he discovers Rita, an innocent young blind girl who must stand by powerlessly while her brother is assassinated. What follows is an intense exchange fueled by adrenaline and fear between the killer and his witness, one that changes their two lives in an instant. The darkness is lifted from her eyes just as Salvo decides, against his murderous instincts, to spare her life. From then on, both haunted by their brief encounter, these two damaged souls will attempt to navigate their dangerous next steps side by side. BONUS FEATURES include interviews with Directors Fabio Grassadonia and Antonio Piazza, actors Sara Serraiocco and Luigi Lo Cascio, as well as additional footage of scenes from the set.